Today we join our fellow Americans to celebrate Memorial Day. Many community leaders and organizations have created special, commemorative programs to honor the veterans who have paid the ultimate sacrifice for the freedoms that we enjoy. Despite some outward appearances, Memorial Day is meant to be a solemn and reflective time for all Americans. Of course there are many ways to observe this holiday. Today’s post is not meant to diminish the family activities that will be held, but simply to serve as a reminder of the heavy price connected with the privileges we frequently take for granted. As we prepare to pay tribute to the men and women who are no longer with us, I would also like to pay tribute to the veterans who served in recent wars, and now struggle to pick up their lives from where they left off. For many, the transition has been wrought with many challenges such as: insufficient housing, inadequate health care, dwindling employment and rising costs of furthering their education. Some of our veterans are now struggling to find their way. As a nation we should feel embarrassed to learn that many veterans are homeless, while others face health challenges that will leave them wounded – physically, and emotionally – for years to come. Our veterans were proud to serve our country, but were disillusioned when they try to re-enter society. I do not claim to have the answer to what is documented as a growing problem, but I firmly believe the impetus to solve this problem starts with an honest dialogue that acknowledges the problem exists. So tomorrow, when we greet each other with a cheerful “Happy Memorial Day” let’s take a moment to recognize that, for some, this sentiment is not fully recognized. It is truly up to us to honor and cherish the veterans who are no longer with us and those who are. To the brave women and men who have given their lives to protect America, we honor and cherish you. To the brave women and men who return home, to take their rightful place in society, we salute you and cherish you for all that you have done. Last year, I wrote an article on the origins of Memorial Day and the important role that African-American veterans paid in shaping this holiday. The article is reprinted below for your convenience. On Monday, May 29th, Memorial Day was observed in the United States. I was pleased to read so many tributes where the authors went to great lengths to make the distinction between Memorial Day and Veterans Day. Both observances are equally important. However, it is my opinion that in the United States we could do more to recognize the women and men who have died to protect the freedoms we enjoy. Whenever I see and hear the words “Happy Memorial Day,” connected with a sale or other promotion, I feel a bit awkward and find the positioning to be insensitive; especially given the wars we are still involved with. With so many other days to shop and save, I would like to see us become more mindful of everything we have to be thankful for. There are two accounts of the origins of Memorial Day that I would like to share. The first account comes from the Office of Intergovernmental Affairs. The second account comes from The Root and Black America Web. Three years after the Civil War ended, on May 5, 1868, the head of an organization of Union veterans — the Grand Army of the Republic (GAR) — established Decoration Day as a time for the nation to adorn the graves of the war dead with flowers. Maj. Gen. John A. Logan declared that Decoration Day should be observed on May 30th of each year. It is believed that date was chosen because flowers would be in bloom all over the country. The first large observance was held that year at Arlington National Cemetery, across the Potomac River from Washington, D.C.
Today, in the United States, Memorial Day is a federal holiday that occurs every year on the final Monday of May. On this day we recognize the women and men who died while serving in the United States Armed Forces. Many of the rituals that make up Memorial Day were born out of Decoration Day which originated after the American Civil War as mentioned above. The one major difference is that today we extend this tribute to Americans who have died in all wars. 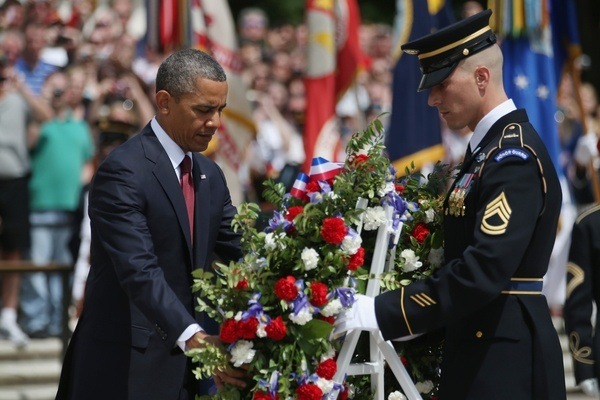 According to Black America Web, African-American veterans were the first to celebrate our fallen soldiers. David Blight, a History Professor at Yale University, credits African-American soldiers in Charleston, South Carolina with launching the first Decoration Day, in honor of the Union’s war dead on May 1, 1865. After the Civil War ended, these soldiers went to places where they knew hundreds of their fellow service men, who were also prisoners of war, were buried in mass graves. As a show of humanity these soldiers, many who were recently freed slaves, gave their fellow service men a proper burial. After the burials were complete, they decorated the graves. According to legend, this ritual took hold and was the beginning of the Memorial Day tributes we now see across the country. The objective here is not to debate which account is more accurate but to simply point out the important contributions that people of African descent have made to shape our great nation. We at Brooklyn Legends take great pride in saluting our fallen soldiers and thank them for all the sacrifices they have made. It is our honor to pay tribute to them. Welcome to Brooklyn Legends Tenacious Tuesday and thank you for spending time with us. We invite you to visit our Facebook page for today’s words of encouragement. Connecting with us is as simple as clicking on this link. We want this to be an interactive process and we encourage you to let us know if a particular post inspires you along your journey. Today we are excited to introduce FDNY Firefighter Regina Wilson, one of our newest generation of trailblazers. Firefighter Wilson is a Brooklyn native and graduate of Samuel J. Tilden High School where she joins a list of distinguished alumni including: Nelson George, featured in our recent post Brooklyn Legends Brunch with the Arts – A Ballerina’s Tale, Lucille Roberts, the businesswoman and founder of health club chain bearing her name and the Reverend Al Sharpton, host of MSNBC’s weekly talk show PoliticsNation. When she joined the FDNY in 1999, she was only the 12th African-American woman to achieve this distinction. During the September 11, 2001 attacks on the World Trade Center, she was among the first responders at the scene. Tragically, seven members of her firehouse – Engine 219, Ladder 105 in Brooklyn, New York – died that day. 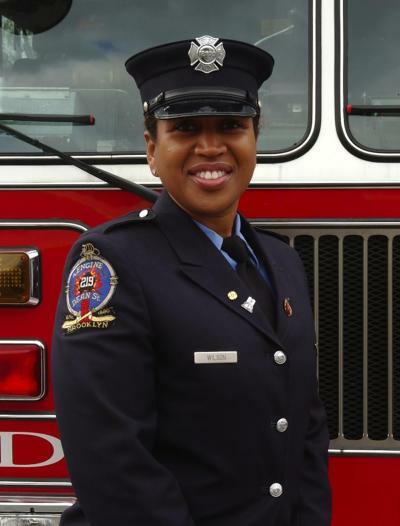 This is a career that Firefighter Wilson never imagined that she would have. After attending a job fair at New York City’s Javitz Convention Center members of the Vulcan Society, a fraternal organization of African-American firefighters with an exemplary 75-year history, spoke with her and presented the FDNY as an option. That was 16 years ago. Since that time she has created a distinguished career with a very promising future. In addition to serving with Engine 219, Ladder 105, she is also an instructor at the Fire Academy on Randalls Island. A high-point of her career occurred earlier this year when she was the 1st woman elected President of the Vulcan Society. Recently Firefighter Wilson was featured as a part of Makers – Be The Hero Series. During the opening you will hear Firefighter Wilson’s strong voice clearly articulate why she is a hero. To view the video, please follow this link. I became the hero of my own story when I graduated from the Academy. No one could ever tell me that I couldn’t do something again. Brooklyn Legends is proud to salute Firefighter Wilson’s tenacity, strength and commitment to the people of New York City. Woman visits grave of solider killed in the Iraq War – History.com. On Monday, May 25th we will proudly celebrate another Memorial Day. There will be special programs honoring the women and men who have paid the ultimate price for our freedom. As we honor our fallen heroes, I would like to salute the women and men who are presently in the armed services. Soon they will return home eager to pick up their lives from the point where they left off. While this will be a seamless transition for some, others will be forced to navigate challenges their fellow Americans now face — unaffordable housing, inadequate heath care and low wages. Sadly many veterans may not be able to make ends meet and could end up homeless. They could also face serious physical and emotional health challenges that will impact them for years to come. I do not claim to have the answer for these problems, but I firmly believe our unwillingness to acknowledge them is a major impediment. Annual celebrations are wonderful for they allow us to connect with each other, but they are not the answer. What happens once the music stops? How many veterans will be able to say, I must now go home and prepare for work tomorrow? On Monday, when we greet each other with a cheerful “Happy Memorial Day” let’s keep in mind this sentiment will have a different meaning for many of our veterans. We must honor and cherish our heroes who are no longer with us and those who are after long after Memorial Day is over. To the women and men who have given their lives to protect America, we cherish you. To the brave women and men who return home, to take their rightful place in society, we salute you and we thank you for your service. We are pleased to join the world in celebrating Women’s History Month. Sharing the important contributions of Brooklyn women from the African diaspora, and the accomplishments of women throughout the world, has motivated me to look for ways to make an impact on young ladies in my community. What will be my legacy for the future? How can I engage others? Today I am pleased to tell you about the historical achievements of Dr. Josephine English – one of the first African-American women to have an OB/GYN practice in New York and one of Brooklyn’s earliest medical pioneers. Dr. English was a tireless community leader, patron of the arts and philanthropist. Most important of all, she was a wonderful mother to her children, and earned a reputation as a highly coveted OB/GYN to Brooklyn residents and notables, including Dr. Betty Shabazz, wife of Malcolm X.
Dr. English was born on December 17, 1920, in Virginia, and she died on December 18, 2011 in Brooklyn, NY, one day after her 91st birthday. 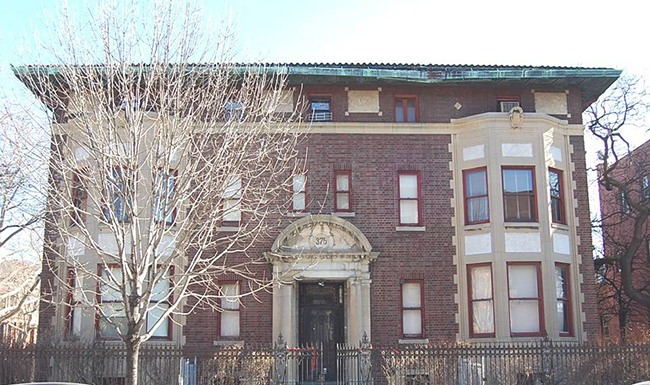 Although she lived in Bedford Stuyvesant for many years, she would spend her last days at the Dr. Susan Smith McKinney Nursing & Rehabilitation Center, where she was recovering after undergoing a surgical procedure. As I was preparing this post, I wondered wouldn’t it be great if Dr. English had an opportunity to meet Dr. McKinney? 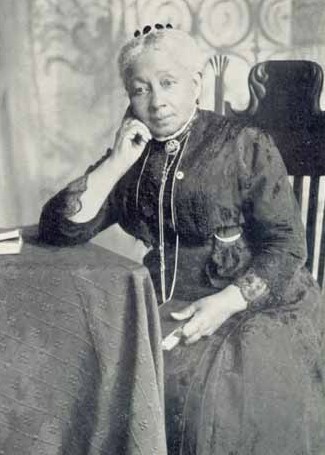 Picture a room where Dr. English, a recent graduate from Meharry Medical College who was now living in Brooklyn, could sit and talk with Dr. McKinney, the esteemed Brooklyn native who was the first African-American woman to earn an MD degree in New York State and the third woman to earn an MD degree in the United States. Can you just imagine the stories they would share? As medical pioneers with their own series of “firsts,” in addition to their personal and professional triumphs and challenges, I envision a conversation filled with many “aha” moments. Dr. English spent her childhood years in New Jersey. Her parents were among the first African-American families to settle in Englewood. She received a B.A. from Hunter College in 1939 and continued her education at New York University where she received a M.A. in Psychology. After NYU, she attended Meharry Medical College and received her M.D. in 1949. Dr. English was ready to make her mark on the world. 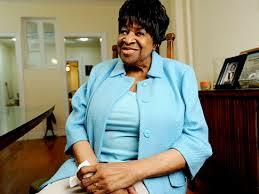 Her first stop was Harlem Hospital, where she worked for many years until she moved to Brooklyn in 1956. Dr. English was a trailblazer who reached back to help others who were in need. She was among our borough’s earliest women philanthropists who championed the importance of health care for women, men and children. Shortly after moving to Brooklyn, she founded a Women’s Community Health Clinic in Bushwick. In 1979, she founded the Adelphi Medical Center which provided services for women and men. Dr. English loved the theater and she was determined to share her passion for the arts with the community. 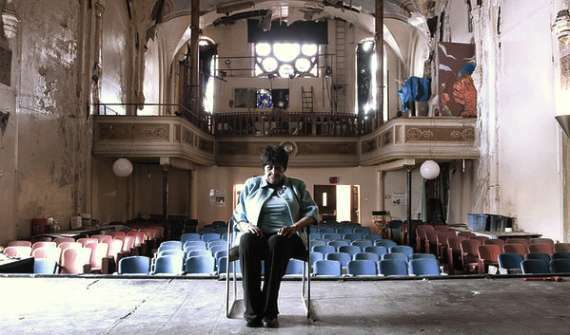 In 1980, decades after opening many medical clinics, she purchased an abandoned church and converted it to the Paul Robeson Theater for the Performing Arts. One year later, in 1981, Dr. English turned her sights to services for children and opened Up The Ladder Day Care and After-School Program which included a summer day camp. In 1986, she became the first minority, and the first woman, to be awarded a license from the New York State Department of Health to develop a free-standing ambulatory surgical center in Brooklyn. Dr. English worked well beyond what was considered to be retirement age. She focused intently on her goals and did not let anything stand in her way. She changed the health-care landscape for women, men and families, in Brooklyn by providing access to health education and empowering her patients to make healthy life-style choices. She was a guiding force in Brooklyn and one of our brightest stars. Her achievements are legendary and it is an honor to salute her. Dr. English will be truly missed.